20mm x 110mm adaptor SET for Wide Boy front hub. CNC Alloy. Black anodised. Pair. 15mm x 100mm adaptor SET for Wide Boy front hub. 2 spacers and 2 inserts. CNC Alloy, Black anodised. Spare Adaptor cones for QR Axle. Blk. Pr. 9x100mm spaced QR fitting. Blk CNC alloy caps. Pr. 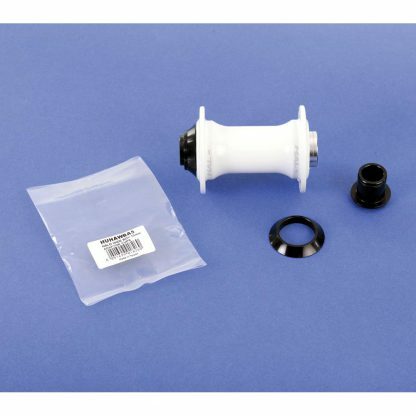 (Note – these QR cones are replacement spares – as the Wide Boy hub includes these items when purchased new). 20mm x 100mm adaptor SET to use with BMX front forks.